Why study HCID at EIT Digital? Where can I study HCID? 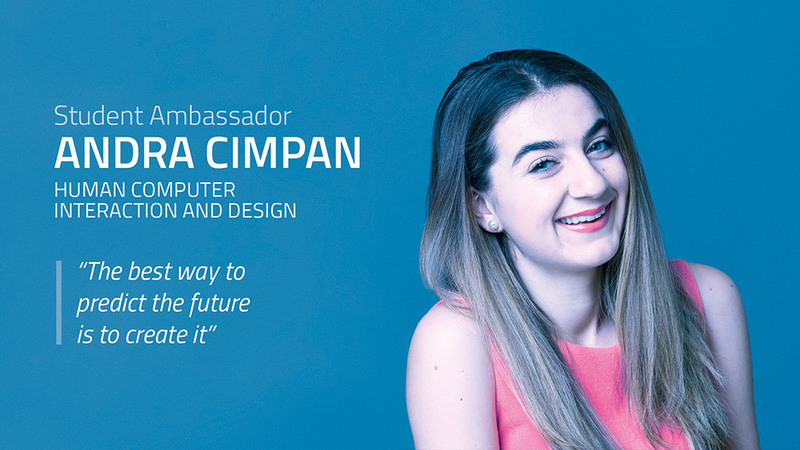 Why study Human Computer Interaction and Design at EIT Digital? Smart devices (mobile phones, PDAs, tablet computers), smart products (car, navigation) and smart environments (ambient intelligence) are enabling new services that require innovative interfaces. Human-Computer Interaction and Design (HCID) focuses on the study, design, development and evaluation of novel user interfaces, interactive systems and services. The EIT Digital Master’s degree HCID is an interdisciplinary programme where our User-Centred Design approach places the users at the centre of the design process. By combining human aspects (both at a cognitive, aesthetic and sensory-motor levels) to technological and business aspects, we create new products and services with great usability and user experience, and a solid customer demand, which often translate into commercial success. HCID serves as the bridge to new products and services. Students learn how to design and define how people interact and live with the modern ever-changing technical world. "Through design we can force a change - hopefully for the better, for all things and for all people. Join the revolution." Where can I study Human Computer Interaction and Design? Each Entry University in HCID provides an introduction course to HCI, working knowledge to the design and implementation of interactive systems, necessary usability evaluation methods and a multi-disciplinary design project. The master programme is provided by Interaction Technology. This entry is best suited for applicants with a degree in Computer Science Engineering. This means a strong base of ICT, computer science, programming and engineering courses in your transcript of records, including math courses at academic level (e.g. calculus, discrete or stats) and physics. A competitive academic record (of more than 3.4/4 or 4.24/5 or B+) is also needed. Please note that the admission committee of Polimi can specify additional constraints on the individual study plan on the basis of previous studies, in order to compensate possible lacks in basic prerequisites. Aalto University offers a specialisation in Computational Interaction. Students learn to apply methods from computer science, engineering, and mathematics to inform understanding of human-computer interaction and to design and adapt human-computer interfaces. Such methods build on for instance machine learning, optimisation, statistical modelling, natural language processing, control theory, signal processing and computer vision, among others. Emerging application topics include computational and data-driven design, interactive AI, conversational agents, interactive visualization, cognitive and behavioral modeling, and novel user interface technology. The specialisation is offered by the Aalto University School of Science and the Aalto University School of Electrical Engineering and it builds on internationally recognized research and education in human-computer interaction, computational intelligence in games, and advanced machine learning methods. Mika P. Nieminen, is a senior lecturer and a post-doctoral researcher at Aalto University School of Science. 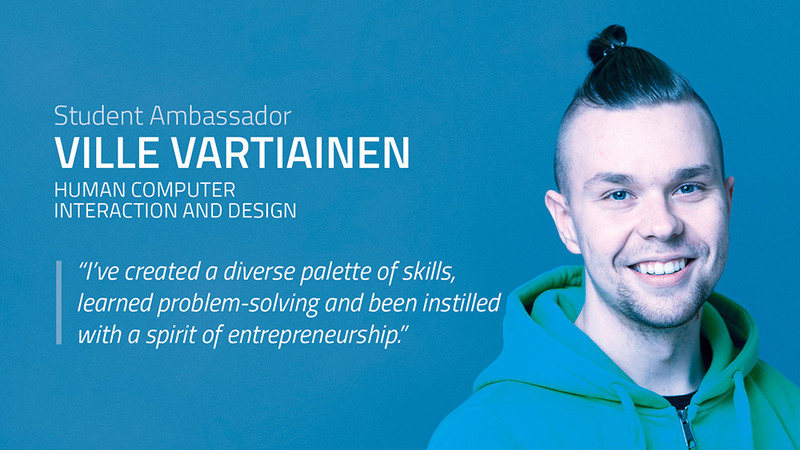 He coordinates the HCID programme for the EIT Digital Master School in general and locally at Aalto, while also teaching several of Aalto’s first year courses. His research interests include UCD at large, and user involvement and user-centered design competencies in particular. KTH offers a specialisation in mobile and ubiquitous interaction with courses in design, development and implementation of mobile and physical interaction. The two schools involved, ICT (Information and Communication Technology) and CSC (Computer Science and Communication) complement each other in mobile technology, user-centred design and design for physical interaction. KTH is well fitted for this specialisation with a strong research background in areas like CSCW, mobile computing and User Centred Design of communication media. Furthermore KTH offers a unique and integrated education and research environment with world-leading telcom industries located in Stockholm / Kista. Other facilities accessible to the master students include a mobile services lab, a haptics lab, a usability lab, a physical computing lab and a new center for information visualization (vic-sthlm.se) featuring ultra-high-resolution displays, holographic displays, eye tracking devices and multitouch surfaces. Patric Dahlqvist is a Lecturer at The Royal Institute of Technology. He has over 20 years experience teaching in the area of HCI. His main interests are Usability evaluation and methodology for understanding the user context. He has prior been at Stockholm University. Cristian Bogdan is Associate Professor at KTH- Royal Institute of Technology. His main research interests are in Human-Computer Interaction, developing novel methods for interaction design, design for user understanding of novel technologies such as electric vehicles and smart grids, as well as new methodologies and technologies for interactive systems development. Cristian worked previously at the Vienna University of Technology with interface modelling and at the Interactive Institute with physical interaction. Université Paris-Sud offers a specialisation in situated interaction: students will learn how to design, develop and evaluate interactive applications and interfaces tailored to the user needs and adapted to their contexts of use. They will be trained to the state-of-the-art in novel interaction techniques, including mixed reality, tangible interfaces, immersive environments, interactive visualization and collaborative interaction. Sarah Fdili Alaoui is an assistant professor at LRI-Université Paris-Sud 11, part of the LRI HCC (ex InSitu) research team in interaction design, human computer Interaction and interactive arts. She is a media artist, a choreographer, a dancer and a Laban Movement Analyst. She holds a PhD in Art and Science from University Paris-Sud 11 and the IRCAM-Centre Pompidou and LIMSI-CNRS research institutes. She has an MSc from University Joseph Fourier and an Engineering Degree from ENSIMAG in Applied Mathematics and Computer Science. Context-aware agents and decisions are key to supporting systems that perform automated reasoning and learn automatically from the user and the environment. We look at tools and methods that can deal with incomplete, uncertain and ambiguous real-life data, and we examine cognitive architectures and mental models that define the internal reasoning of the agents. You will learn to apply strategic interaction styles and to use existing platforms to design and develop multi-agent systems. Dirk Heylen is full professor in Social Intelligent Computing at the University of Twente, working in the Human Media Interaction group. His research interests cover both the machine analysis of human (conversational) behaviour and the generation of human-like (conversational) behaviour by virtual agents. He is especially interested in the nonverbal and paraverbal aspects in conversation and what these signals reveal about the mental state (cognitive, affective, social). Mariët Theune is assistant professor at the University of Twente, working in the Human Media Interaction group. She has a background in computational linguistics and her research interests include automatic language generation, interactive storytelling, serious games and interaction with embodied conversational agents. Universal Design implies taking into account the diversity of sensory, physical and cognitive abilities of the users of the system. Some users will have limitations in their abilities, which may be permanent, temporary, situational or contextual. The usability-based concept of accessibility implies that designers should work for reaching adequate levels of effectiveness, efficiency and user satisfaction across the diversity of users. To reach good accessibility a combination of two approaches is required: design for all and assistive products. Design for all, also known as inclusive design, is the design of products to be accessible and usable by all people, to the greatest extent possible, without the need for specialized adaptation. But design for all is not always enough, as some persons with disabilities require specific adaptations to be able to use ICT. These adaptations are called assistive products, which are any product (including devices, equipment, instruments and software), especially produced or generally available, used by or for persons with disability for participation; to protect, support, train, measure or substitute for body functions, structures and activities; or to prevent impairments, activity limitations or participation restrictions. Dr. Eng. Elena Villalba Mora is a Professor (Associate) at Universidad Politécnica de Madrid, Spain, in the Computer Science field, concretely in Human Computer Interaction; with more than 14 years’ experience in User Experience, eHealth and eInclusion. She holds a Master’s Degree in Telecommunications Engineering and a PhD in Biomedical Engineering, both from the Technical University of Madrid (Spain). Sebastian Möller is full professor at TU Berlin and at the same time leads the Strategic Research Lab on Quality and Usability at TU Berlin. His research interests include speech processing, speech-based and multimodal interaction, quality perception and prediction of audio-visual services, user behavior modeling, and usable security and privacy. Saman Zadtootaghaj is a researcher at the Telekom Innovation Laboratories of Deutsche Telekom AG. He obtained his Bachelor's degree in Information Technology at IASBS, and his Master's at the University of Tehran in 2015. The topic of his Master's thesis was "A Learning Based Algorithm to Detect Region of Interest in Cloud Gaming". Since January 2016, Saman is working as a research scientist at the Quality and usability Lab of Deutsche Telekom Laboratories, TU-Berlin and working on Quality of Experience linked to mobile gaming. TU Berlin offers a specialisation in multimodal interaction with courses in speech signal processing and speech technology, speech recognition, emotion and situation recognition, image analysis, vision-based interaction, and biometrics. The focus will be on innovative interaction paradigms, both from the technical as well as from the user side. In order to follow these topics, a good set of mathematical (signal processing) and computer-science competences will be necessary. TUB is particularly suited for educating this topic, as it has a multidisciplinary group of professors and researchers with a background ranging from electrical engineering and computer science to psychology. Study and Master thesis projects can be performed on campus in conjunction with Telekom Innovation Laboratories (T-Labs) as an EIT partner, as well as with numerous scientific institutions intensively collaborating with TUB in the near surroundings (DFKI, Fraunhofer institutes, HPI, etc.). The University of Trento (UniTn) offers a specialisation in cognitive interaction which studies the mental and cognitive processes that are underlaying language, vision, and interaction. This specialisation provides the student with the interdisciplinary training in language science, neuroscience, psychology, computational methods for the statistical analysis of large amounts of language and perceptual data, and in interface design. Theoretical knowledge will be supplemented by experience acquired in substantial practical projects carried out in research and industry labs. Massimo Zancanaro is a full professor of Computer Science at the Department of Psychology and Cognitive Science of the University of Trento and the head of the Intelligent Interfaces and Interaction (i3) at Fondazione Bruno Kessler. His research interests are in the field on Human-Computer Interaction and specifically on the topic of intelligent interfaces for which he is interested in investigating aspects related to the design as well as to study the reasons for use and non-use. He co-edited two books and co-authored more than a hundred papers in journals (among them Artificial Intelligence, User Modeling, TOCHI, IJHCS) conferences (including IJCAI, CHI, IUI, UMAP) and peer-reviewed symposia. At present, he serves as vice-chair for the Italian Chapter of the ACM Special Interest Group in Computer-Human Interaction. Through their multidisciplinary attitude, HCID graduates are valuable in open innovation settings where different aspects (market, users, social aspects, media technologies) come together. They can choose to work within companies that provide value-added products and services, such as game companies, e-learning, web developers, and entertainment. An alternative path would be to start your own company to provide product or technology development, media content, business development or consultancy services. Thursday, February 14 2019"Girls, express yourself via code!"